Ethereum’s original blockchain just won’t die. The result of a hard fork of the ethereum network in July, the blockchain has not only survived, but it’s evolving into a competing version of the decentralized application platform. Now, supporters of the platform are beginning to mobilize. 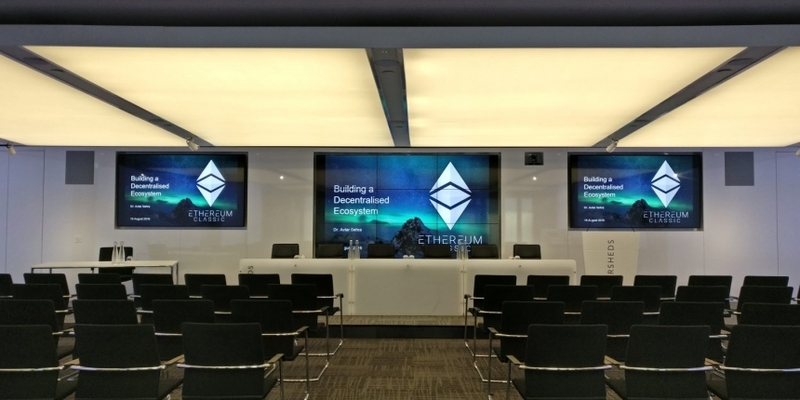 As part of this drive, supporters of ethereum classic held their first formal meetup in London this week in what some supporters see as a launching pad for the newly created community. Overall, the meetup sought to provide an overview of the project’s goals, and the financial and legal implications of the network hard fork. Speakers included Simon Taylor, blockchain research director at 11:FS; and Nishant Bhaskar, an executive at Lloyds Banking Group. The meetup began with comments from lead organizer Arvicco, who noted how its supporters don’t want to support a system that was involved in what they view as a “long train of abuses“. A slideshow presentation from the event shows the team was also keen to draw a roadmap for how the project intends to progress. This will include porting ethereum clients to ethereum classic, supporting the launch of new network tools and exploring how its developers could create a consensus structure that would set it apart from ethereum’s planned proof-of-stake system. Perhaps most notable was a cameo from bitcoin investor and ethereum miner Chandler Guo. Best known for threatening ethereum classic with his mining capacity just a month ago, he said in an announcement he is now ready to go 100% ETC. “I made a mistake before,” Guo said about his initial decision to support the decision to hard fork ethereum. He later called for Chinese ethereum supporters to support ethereum classic. “This is not a joke. This is a revolution. This is freedom. God bless ethereum classic,” Guo said. Organizers said upcoming ethereum classic meetups will be held in Zurich, Shanghai, Melbourne and Toronto. View the full slideshow from the event here.